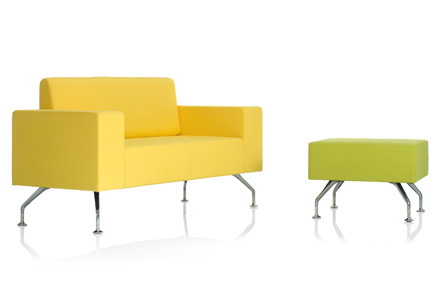 The Perimeter range offers a variety of seating options in colourful and eye catching designs. Suitable for both large reception areas or compact office spaces, the Perimeter collection can be configured in many ways to suit a wide range of environments. With different colour combinations the Perimeter collection can fit in with insisting decor or be the eye catching element that stands out within the area it is placed. 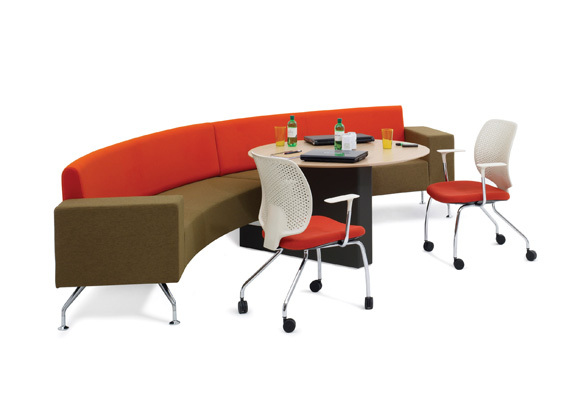 It is a perfect solution for not only waiting seating but meeting areas, sociable seating or break rooms for comfortable, relaxing seating during lunch hours. 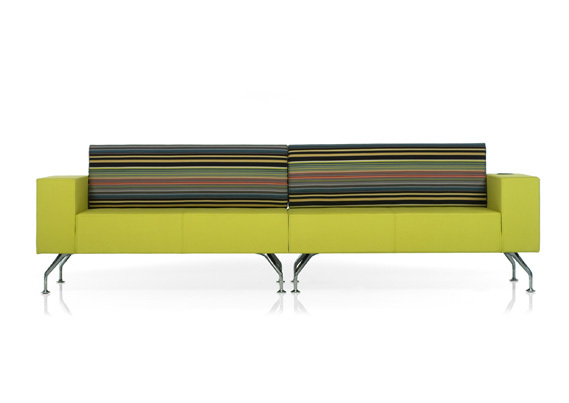 From a two-seater sofa to five piece arrangement, one straight sofa to a corner piece, the Perimeter range can be configured in a variety of ways for different spaces. 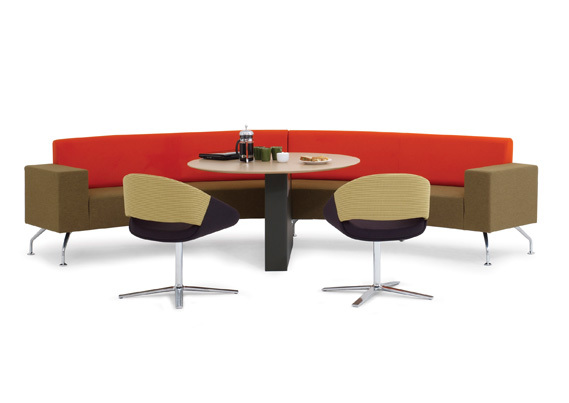 Curved seating options are also available and make a unique and interesting element for office seating or reception and waiting areas. The design of this soft seating range has been highly considered - distinctive colours are one of the elements that make the Perimeter range stand out in any workplace. 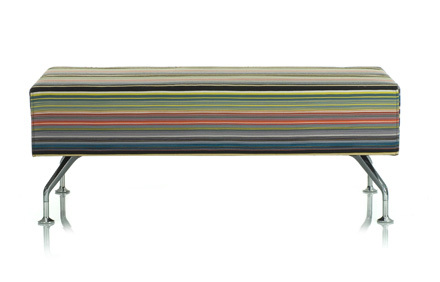 Bright yellow, striking green and vivid red are just a few of the colours this collection is available in. Also with the option of a high back for privacy or workspace partitions, the Perimeter range is fitting for any workspace. 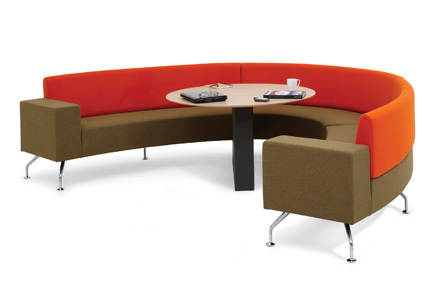 Within this soft seating collection, not only is there straight and curved seating but also stools available. For a more informal or brief seating option, stools can be placed in areas with limited space to offer another solution. 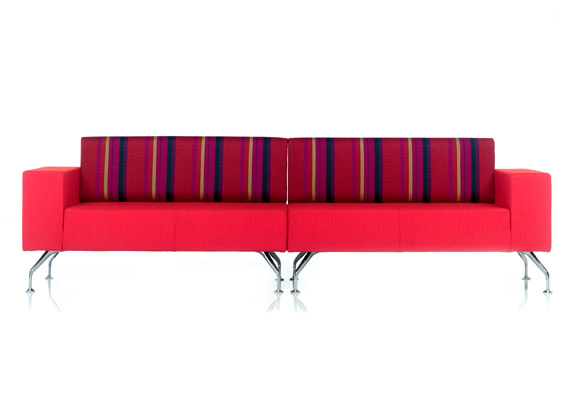 By combining the sofas and stools together, office areas will have the right seating for many different users.